From Pandal hopping to the Bisorjon procession, your guide to the authentic Durga Pujo experience in Nagpur. The festival season in India has begun. After the 10 day Ganesh festival, Nagpur is now gearing up for Durga Pujo. The city is gearing up to welcome Maa Durga and her children with great devotion and pomp and show. 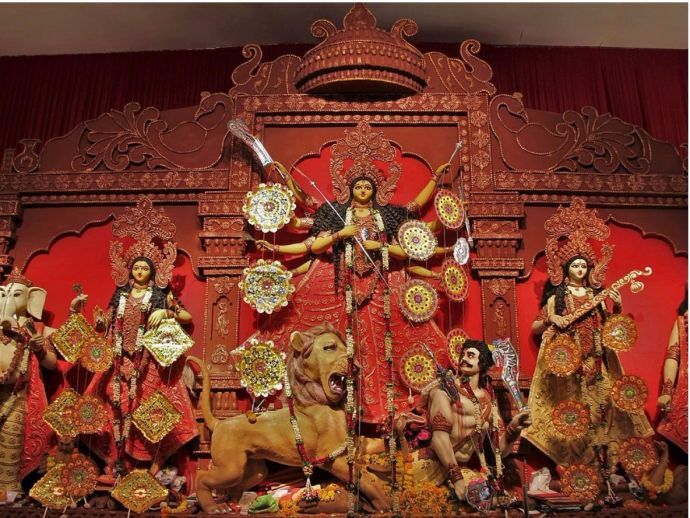 For Bengalis, Durga Pujo is much more than just a religious festival. It’s an occasion where the entire community comes together to celebrate and share happiness, hope, and positivity. Of course, if there is one place to be to experience Durga Pujo to its fullest, it is the city of joy. And if you are a Bong with roots in Kolkata, this must be the season you’ll be missing home the most. But no worries, if you can’t go to Kolkata, the Kolkata experience can sure come to Nagpur. Let us start with the preparations. Festivals = new things, and why not? What better way is there to celebrate joy, if not with something new. If you are thinking you want to go Bangla this Navratri, these shops should be your one stop shop for all things Bong. 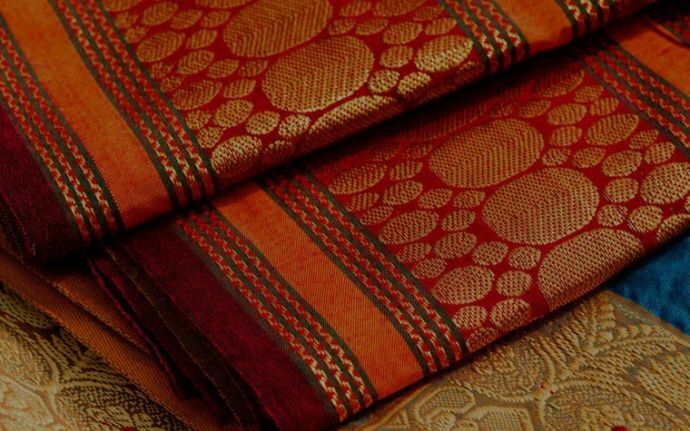 Anupama Saree store and Chaitali Saree store. These little shops in Modi Number 2 Buldi are a must visit before Pujo. These are the places where almost all the city Bengalis throng during Pujo. From Tangail to Jamdani, to Baluchari, Dhaniakhal, and Dhakai, they have it all. Not just clothes, Anupama also has the famous Kasundhi (pure mustard paste). What are you waiting for, Navratri is almost here! If you thought Roshogulla and Sondesh are the only Bengali delicacies you get in Nagpur, you are so wrong. 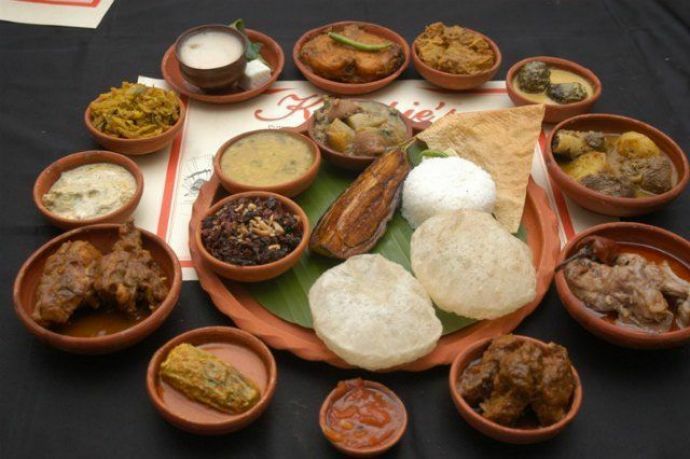 Panch Phoron in Pratap Nagar and LBs in Sadar serve authentic Bengali food. So the next time you are craving for luchi-aaloo, or kosha mangsho (Bengali Mutton curry), you know where to go. Of course you can always have a Bengali friend who will feed you homemade delicacies. Well, no Durga Pujo experience is complete without Pandal hopping. Nagpur has a fair few traditional Pujo pandals, the most famous one being the 106-year-old pandal at Dinanath high school in Dhantoli. The other famous pandals include the ones on Katol Road, Defence Colony, Trimurti Nagar and Pratap Nagar. These pandals are organized by various Bengali associations across the city. P.S- while you are pandal hopping, don’t forget to check out the Bengali street food stalls around the pandals! 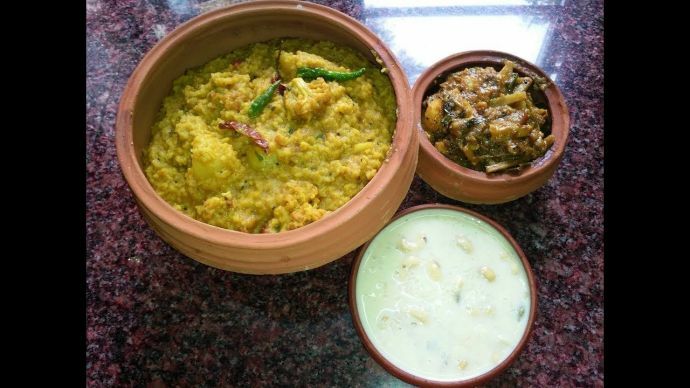 No Durga Pujo experience is complete without the heartwarming bhog of khichuri and labra. This simple bhog, that is served on sashti, saptami, ashtami and navami, is full of authentic Bangla flavours. 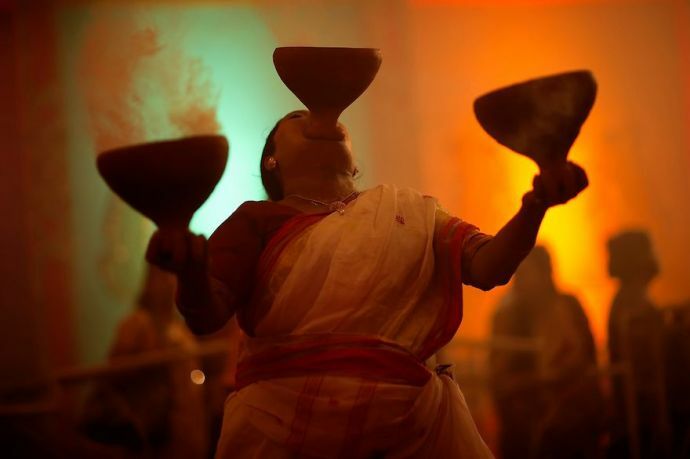 Another pujo experience would be watching the traditional Dhanuchi nritya. 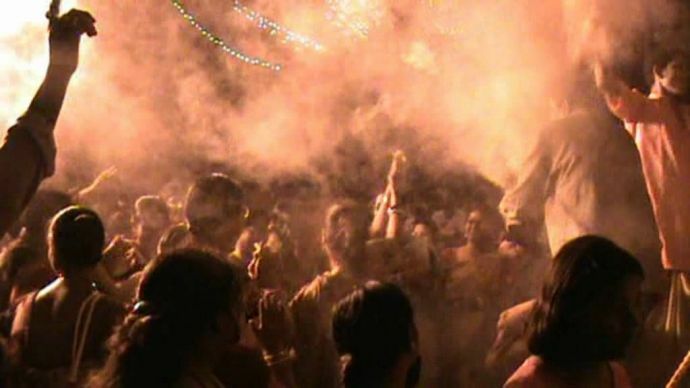 This ritualized dance worship, a frenzied dance with the censer, to the accompaniment of feverish dhak rolls, that follows the aarti is simply mesmerizing. 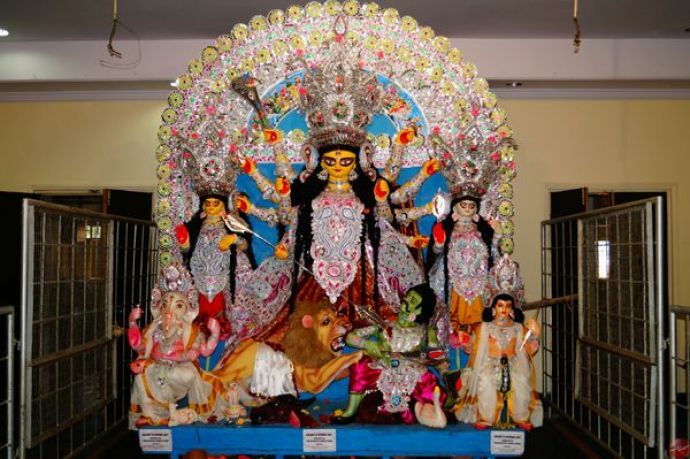 Maa Durga is bid farewell with equal fervor and gusto. The bisorjon procession where women clad in white and red sarees play with sindoor is a unique spiritual experience. We hope you are all set for Pujo, now!